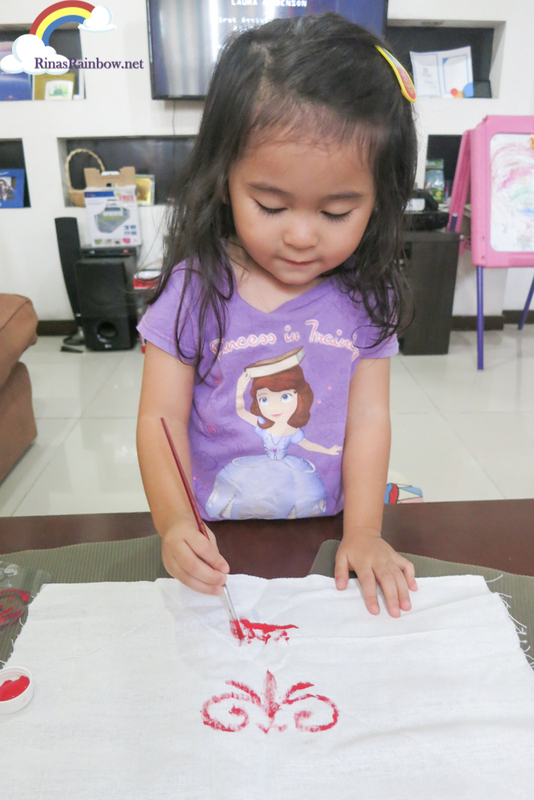 Since I made some home made finger paint for Rain, this is the first time again that I let her play with real paint and a paint brush. And she really enjoyed it! It was a Painted Table Mats set by ToyKraft from the Make My Day booth that sell fun art stuff during the Expo Mom 2015 at Glorietta. 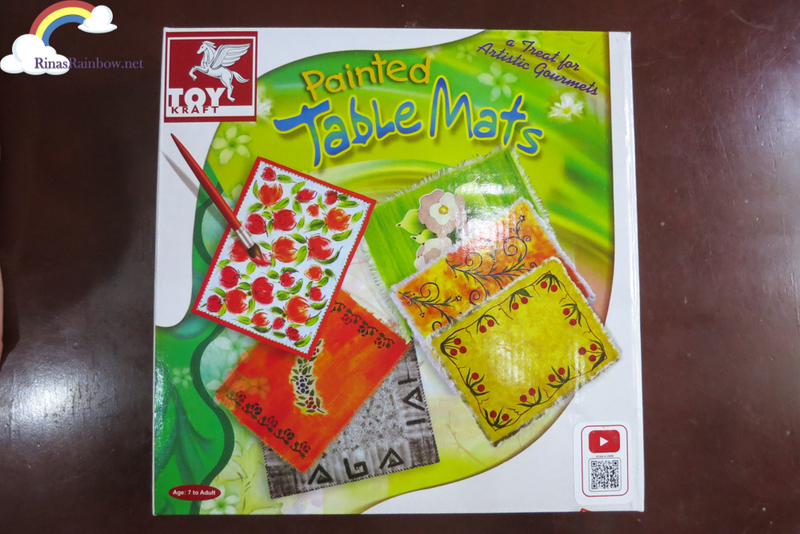 ToyKraft is originally from Mumbai and is imported in the Philippines by Panvin International Corporation. They've got tons of art things for your little artist! And for adults too! 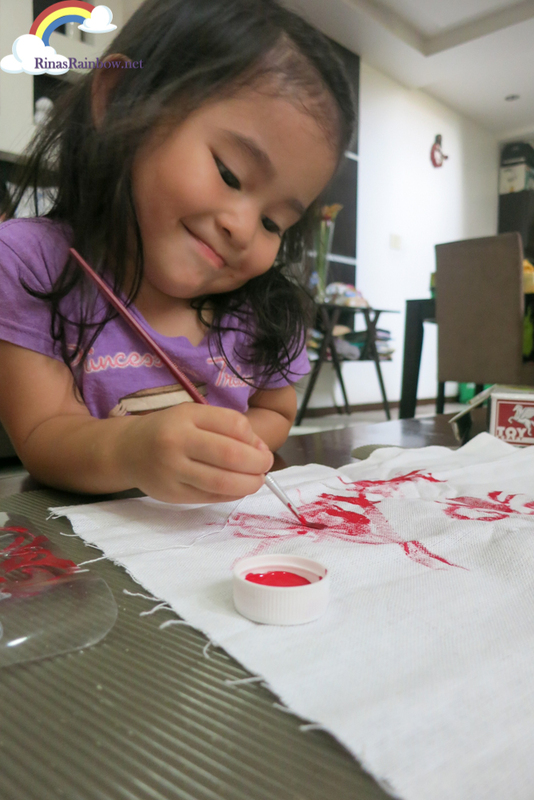 This is actually not just for kids who like to paint. It can also be for adults! I would have made my own if Rain didn't finish up all the paint. 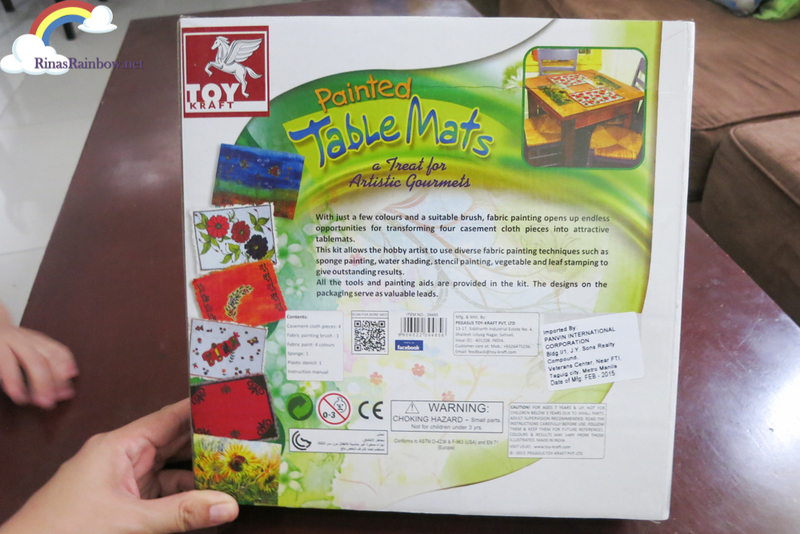 This Painted Table Mats is actually just one of the many things they have. 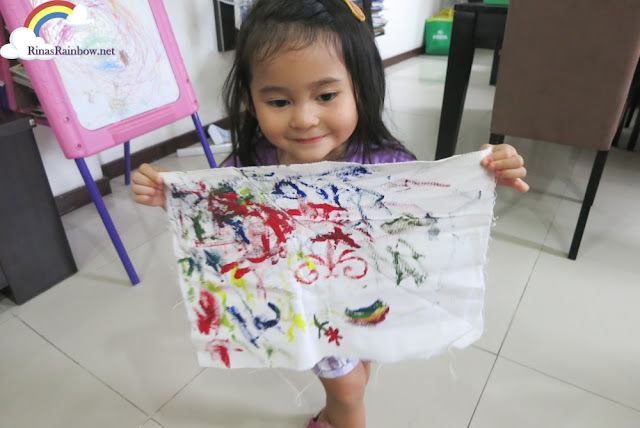 This one is basically fabric painting for kids and adults. 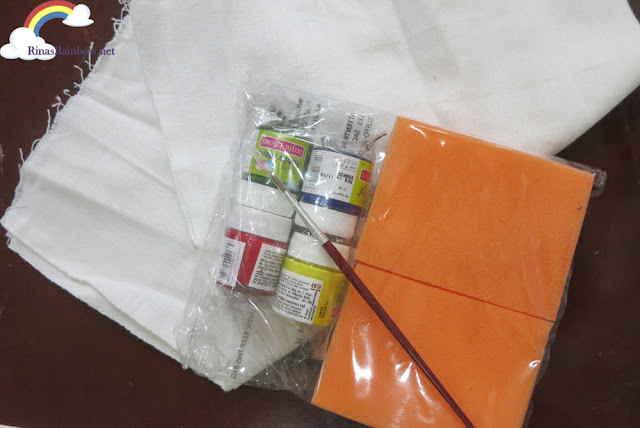 This set comes with 2 sponges (for shading), 4 fabric paints (basic colors so you can mix and make other colors), a brush, and 4 fabric place mats. 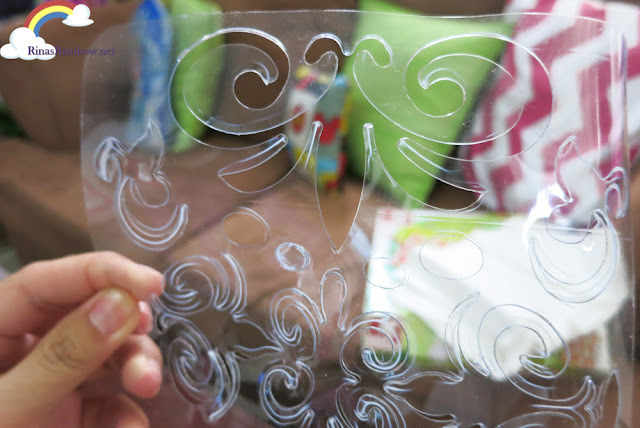 It also comes with a stencil. 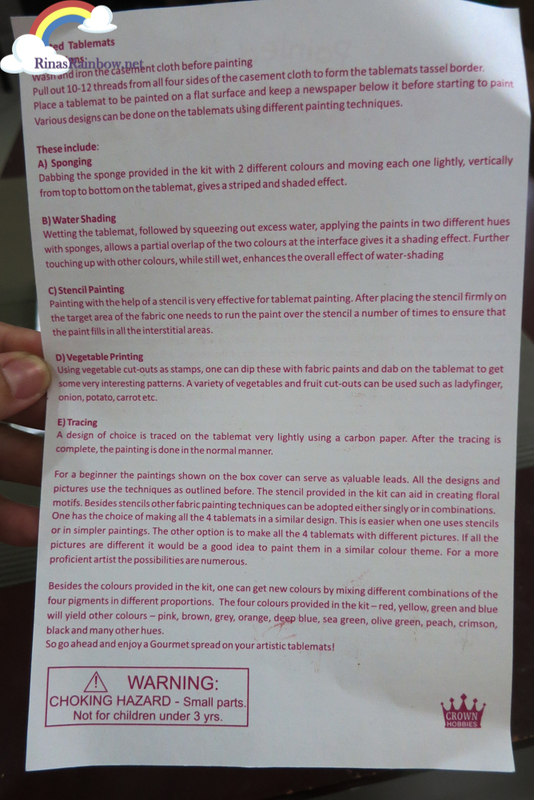 The set also comes with a print out manual, to show you the different ways to paint like using vegetable cut outs as stamps, tracing, water shading, etc. 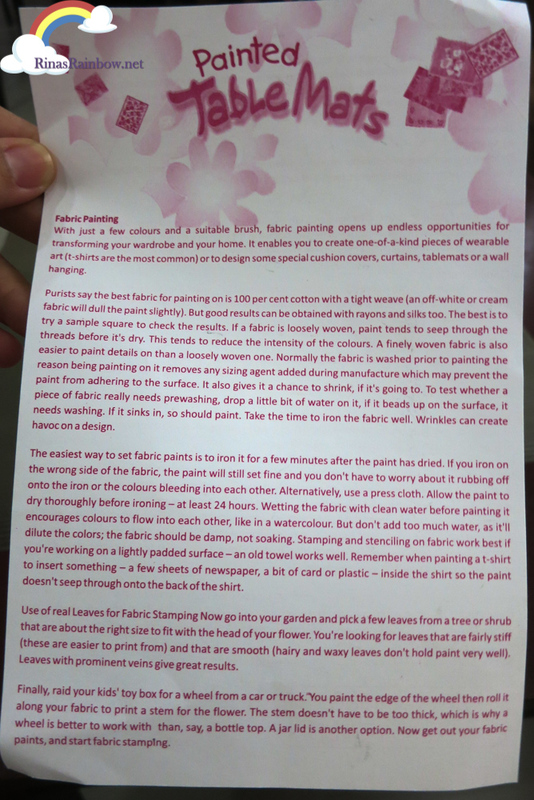 Plus tips on how to the best way to set the fabric paint and more. I did one stencil to show Rain. 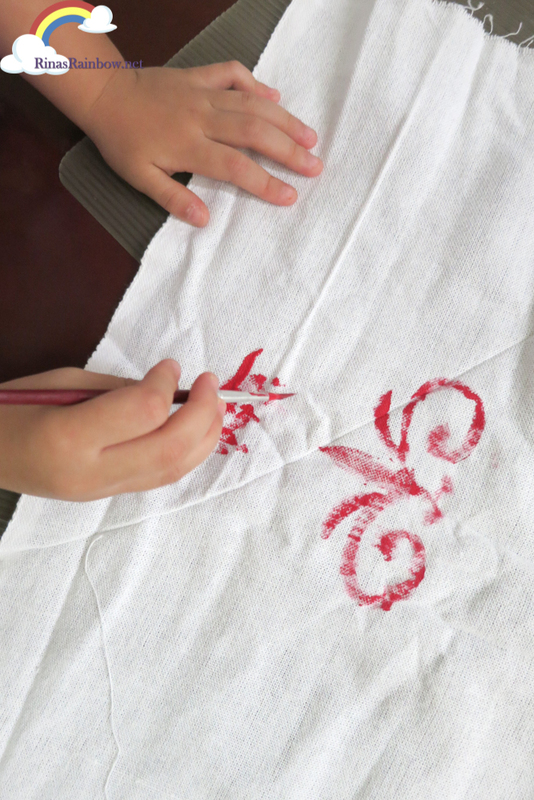 But she wasn't interested in the stencil yet. She wanted to make her own. And tadaaaa! Her masterpiece! We need more practice, baby! But beautiful work nonetheless! ;-) Now I just have to remove a few strands from the sides to make the tassles (as instructed in the manual). 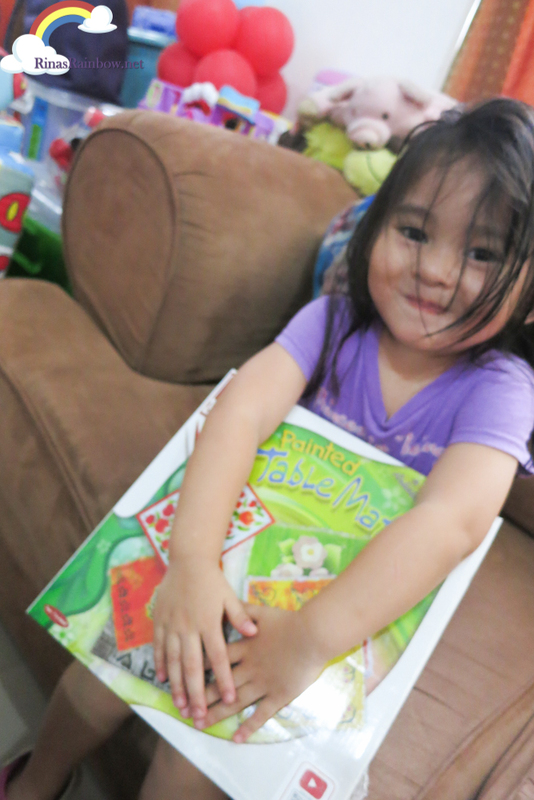 Thank you Make My Day booth at Expo Mom and Panvin International Corporation for Rain's ToyKraft! Paint with no end goal in mind, and no other thoughts in your head. Focus entirely on the act of painting. Even paint with your fingers to feel the slightly cold product on your skin, smoothing and blending different colors. Notice how different techniques give you different results, and how different color palettes make you feel. Become one with the paintbrush. The Immediate Powers of MySlim Yerba Mate Drink! See The Great, Feel The Great with LG G4!